Laurel has been in the graphic arts industry for over 30 years. She started out as an accountant for a printing company in London but got bored and went travelling. She got caught up in the Desktop Publishing revolution working in California for the Seybold organisation, where she was instrumental in the development of the Seybold conferences. Over the years she has worked exclusively in the prepress and publishing industries, with a particular specialisation in digital prepress, digital production and digital printing. She is managing director Digital Dots, which provides international consulting and educational services. Laurel works with several ISO working groups and is the convenor of ISO’s Working Group 11. This group develops standards relating to the environmental impact of graphics technology, including print media. ISO 16759 for quantifying and calculating the carbon footprint of print media, published in July 2013, provides a framework for carbon calculators for the carbon footprint of print media products. Laurel provides private consulting and editorial services to a wide cross section of publishers, manufacturers and industry associations. 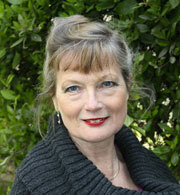 Her work regularly appears in publications and on websites around the world. Laurel is a regular speaker at industry events in North and South America, Europe and Asia. Laurel is also a Visiting Professor at Shenzen Technical University in China and one of a small cohort of Women of Distinction selected by US publishers Output Links. Agfa Graphics has awarded her its Sustainability Award for her work in sustainability and the Indonesian printing industry association, ATGMI, has also recognised her for this work.